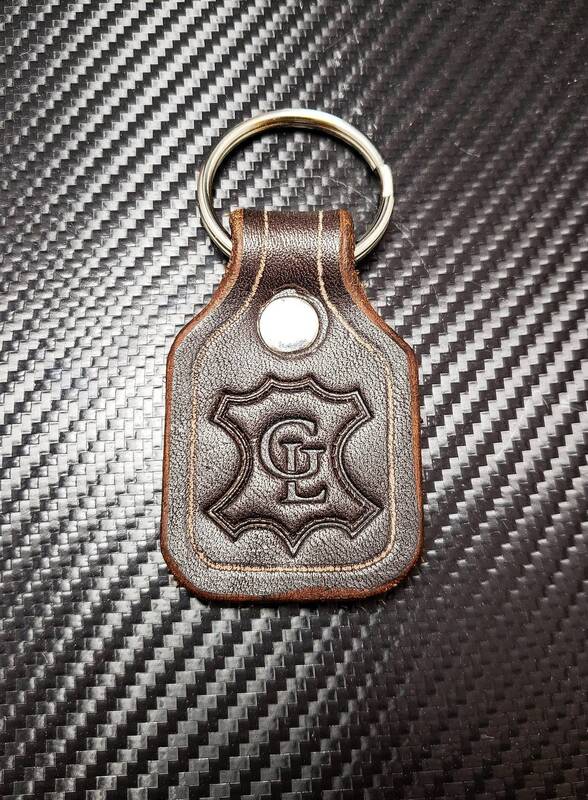 Love your gear from us and want people to know who your favorite leathercraft spot is? Look at that handsome logo. 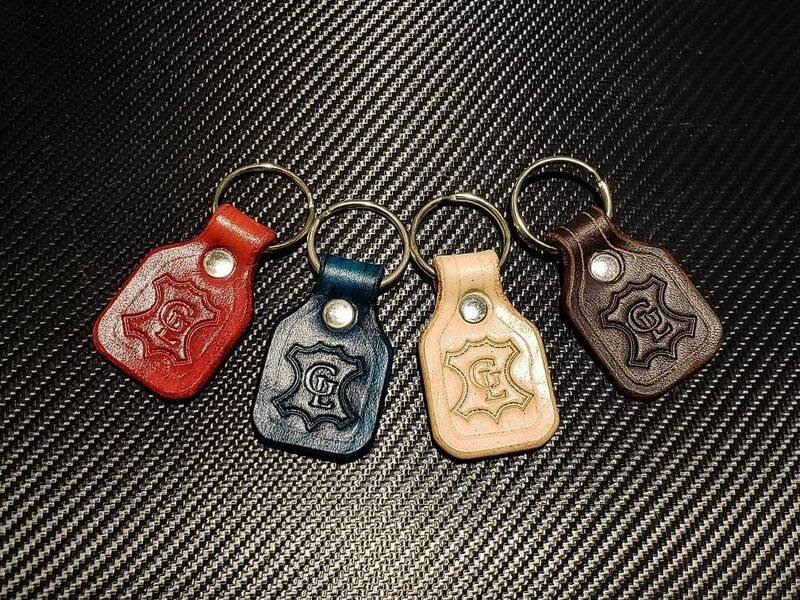 Pressed into a strip of 8-10 ounce latigo or vegetable tanned cowhide in a color of your choosing. 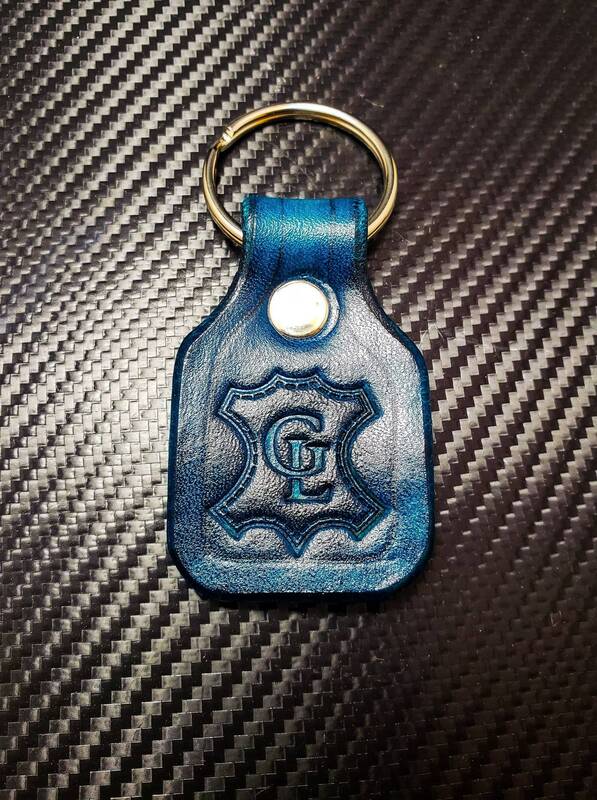 Each keychain includes a split keyring riveted onto the leather loop. 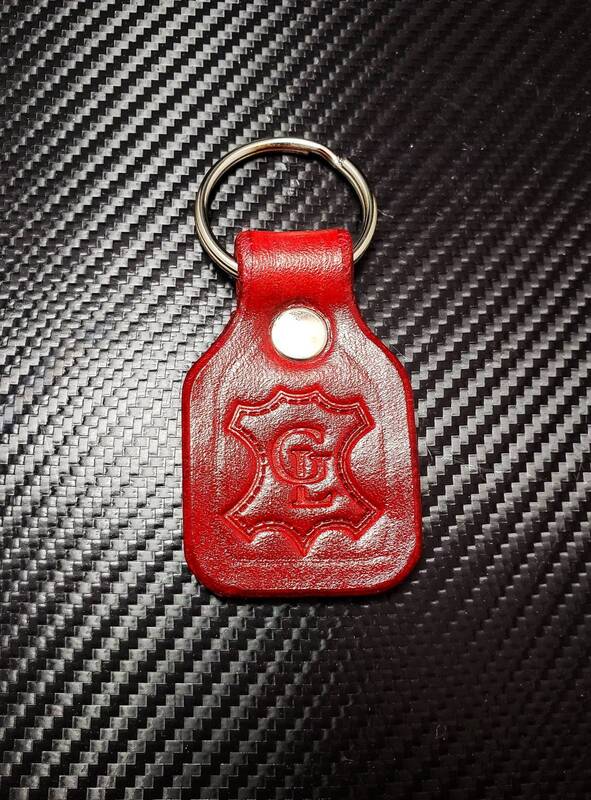 Shipping for these keychains is free, because thank you.